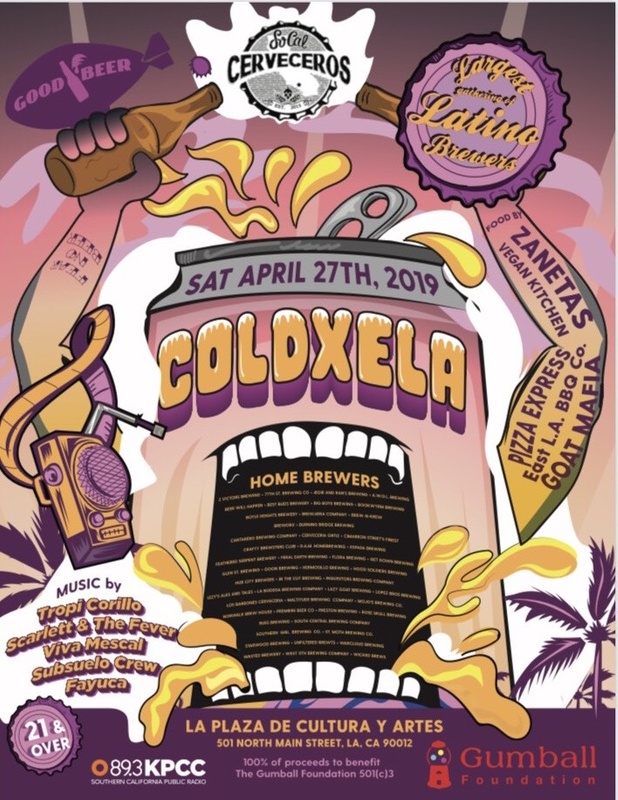 Gumball Foundation hosts COLDXELA 2019, the annual Homebrew Festival Fundraiser with SoCal Cerverceros. COLDXELA 2019 will feature more than 50 homebrewers from all over Los Angeles County pouring over a dozen styles of craft beer and ciders. As guests sip and taste, their knowledge and education about homebrewing will increase through videos and demonstrations, in an effort to teach, involve, and honor the tradition. Live music performances by LA’s top favorites include Tropi Corillo, Scarlett & The Fever, Viva Mescal, Subsuelo Crew and Fayuca. Tasty treats provided by Zanetas Vegan Kitchen, Pizza Express, East LA BBQ Co, and Goat Mafia to name a few. The Gumball Foundation seeks to foster the next generation of socially responsible entrepreneurs equipping them with the tools to start their own ventures. Our program is designed to foster creativity and entrepreneurship in low wealth students by giving them access to observe the inner workings and holistic approaches of small businesses, factories, and corporate offices while learning a universal business skill set. Through this early exposure and interaction, students gain an expanded perspective, which in combination with the learned universal business skill set prepares them to become leaders in any career path they choose. In line with our vision to build up communities by fostering socially responsible, compassionate youth entrepreneurs, another way we build up communities is by loaning small businesses 0% interest loans and providing free branding and expansion consulting.